Everyone should have a dream. If a dream seems to be unfeasible in the beginning, you shouldn’t give up so easily. For two girls from Canada that dream came true. They wanted to live their life to the fullest and to visit the most beautiful landscapes in their country. And…..the stars were born! That’s how the girl named Marti and the Bengal cat named Suki became one the World’s most famous traveling girls. 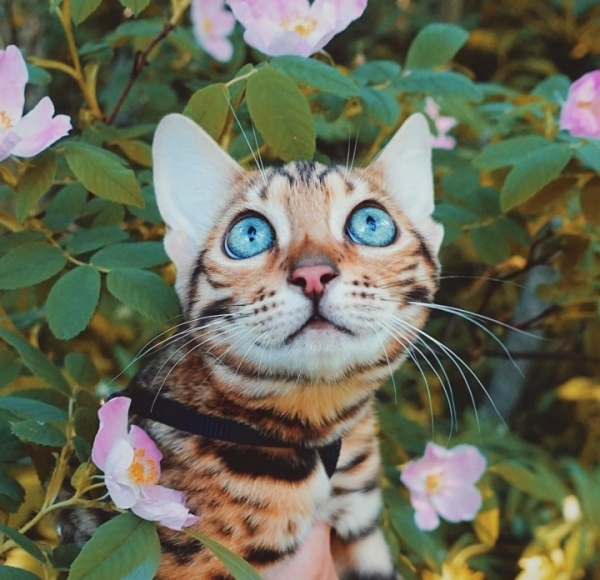 Bengal cats are known for their strong athletic body and unlike most lazy felines, this fluffy girl likes spending time outdoors, exploring strange and unique landscapes. Suki is proving that being a massive hit on Instagram is not that difficult. Up to now, her Instagram page has had more than 549k followers. 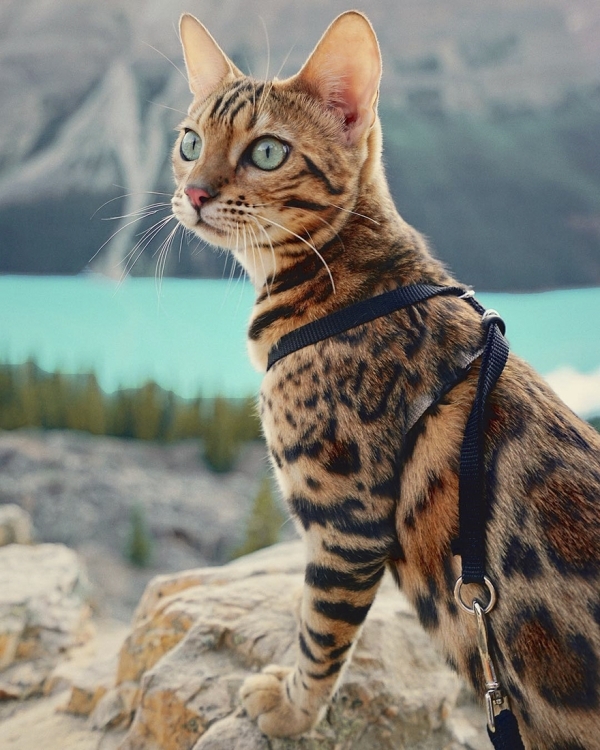 Suki’s owners, Marti and Ken, like to go hiking and camping and when their last cat passed away, they decided to get a new one that would follow them on their trips. When a cute Bengal cat came to their home, they took her outside only a month later. 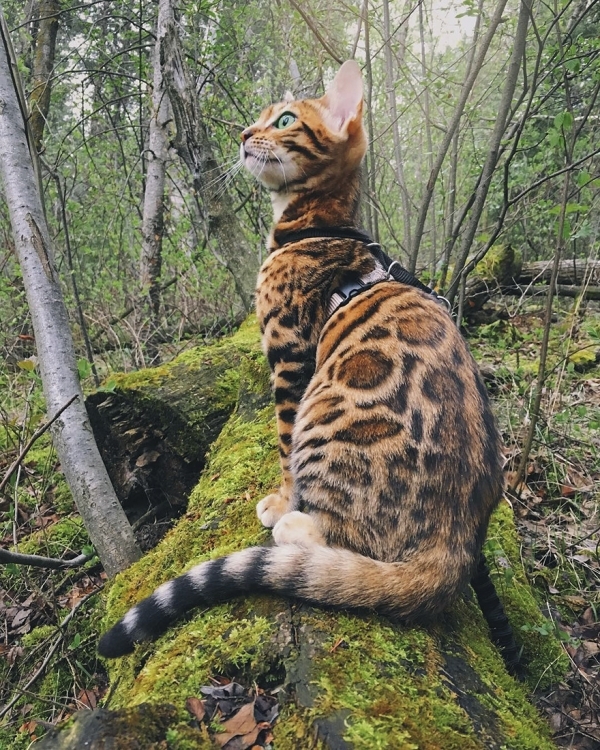 Since Bengal cats are high in energy, all those adventures were only a great pleasure for Suki. Going through Suki’s photos on Instagram, you can notice that she likes water, unlike most of other cats. She gladly dips her paws into lakes, streams, and rivers. Her fur looks amazing and it somehow reminds of the wild cats’ fur. It’s also said that Bengal Cat’s fur is silkier and softer than other cat breeds’. Although they look like wild cats, Bengal cats are in fact domestic cats whose ancestor is a small, wild Asian leopard cat. It was created through crossing of Asian leopard cat and domestic shorthairs. That’s why these cats have extreme skills and are much stronger than other domestic cats. Suki adores swimming in Canadian lakes and many such videos can be found on her Insta page. 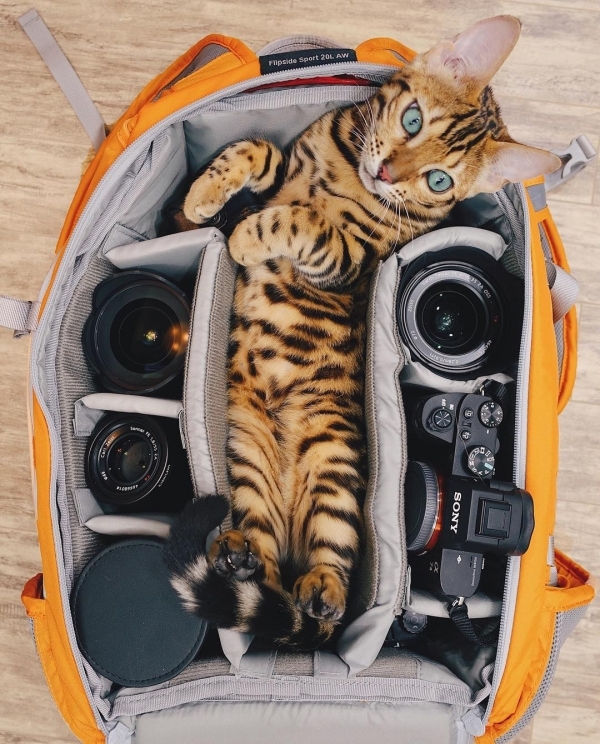 Suki’s owner is a photographer and she likes visiting breathtaking landscapes with her partner. Taking Suki on their adventures is so much fun and every time Marti turns the camera on, she poses like a pro. 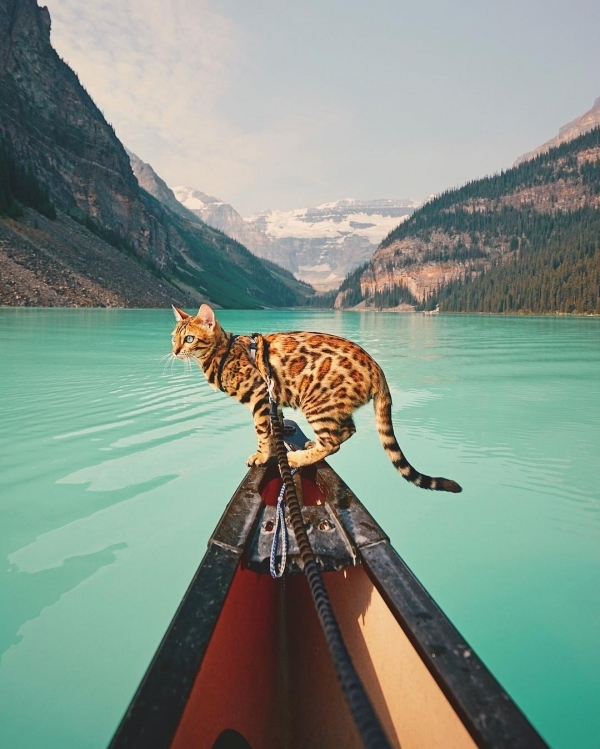 This kitty breaks the limits, and it is also leash-trained and enjoys car rides, canoeing, camping, and hiking. Every pet should have an opportunity to live like Suki because, at the end, NATURE is the only real habitat of all animals. “Mommy, I’m ready! Here is all your equipment and we can go on a new adventure!” Marti says that Suki is already used to living outdoors, and exploring the mountains and streams around is an ordinary daily routine for her. When she is forced to stay at home for a few days, she gets restless and noisy.